Q: Tick-tock: Just a few days to finish your shopping. 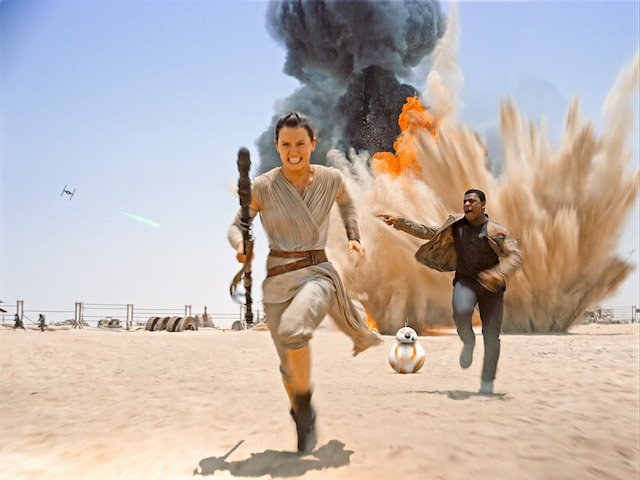 What should you get for the cinephiles on your list? And what are you picking up for yourself while you’re at it? It would be truly shameless of me to suggest that a fine gift to buy for the cinephile in your life is my book “Yesterday is Forever: Nostalgia and Pixar Animation Studios,” talking about Pixar’s balance of cutting-edge technology and storytelling that longs for the past. Truly, truly shameless. Moving on: the Criterion Collection Blu-ray release of “Mulholland Dr.” is, as they say, legitimately essential for anyone who likes to be terrified at the movies. I’d also be partial to saying that a fan of the “Die Hard” films might enjoy the recent series Blu-ray collection that arrives with a replica of Nakatomi Plaza. For myself, though I know it won’t happen, I’d ask of anyone buying me a gift this Christmas to give me the “Collected Works of Hayao Miyazaki” Blu-ray set that came out last month; now that Studio Ghibli films are apparently a thing of the past, the time to celebrate these works of art in high-definition is right now. Amazon’s exclusive “The Collected Works of Hayao Miyazaki” box set is the holiday present I’d most like to gift (and receive). Even if, like me, you already own most of the master animator’s 11 features to revisit on your own or with your kids, the appeal of having them all in one place — tricked out with a collectible booklet and illustrated disc book — is hard to resist. “The Art of ‘Mad Max: Fury Road. 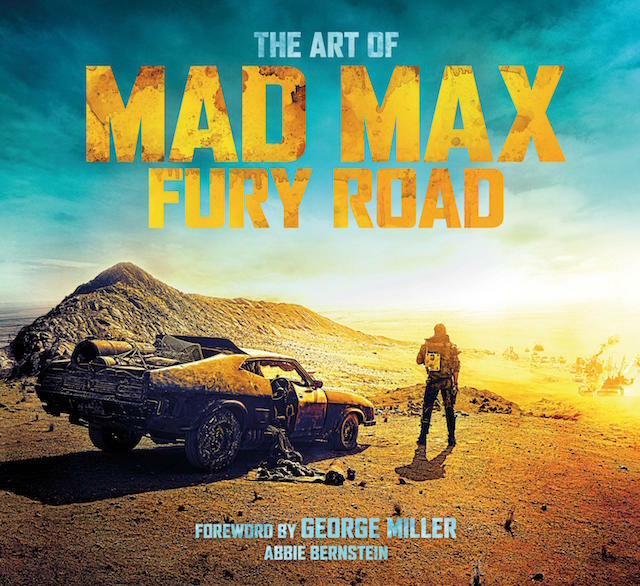 '” It’s a gorgeous coffee table book rich with behinds the scenes details, concept art, and set photography from the biggest, most beautiful movie of the year. It’s a no brainer. Last minute gifts for a cinephile? Well, you can never go wrong with a Criterion gift certificate of any amount. Another wonderful gift (one that will keep on giving all year) would be signing him/her up for a membership at their local arthouse theater or cinematheque. For New Yorkers, I highly recommend The Film Society of Lincoln Center. Lastly, a Film Independent membership would make a great gift. Anyone who joins by January 15 can attend NY/LA screenings of Spirit Awards nominees and gets to vote in this year’s awards. In terms of what I would like… If someone could be kind enough to renew my MoMA Film Plus membership, I will surely appreciate it. I have been good all year, I promise. As someone who likes to attend film festivals and support retrospectives I would gift a membership to Film Forum or the IFC Center or the Film Society of Lincoln Center, or a Hudson Pass for the Tribeca Film Festival. And on that same note, I’d like to receive a badge for Telluride Film Festival, which has become one of my favorite fests. Although I am curious to attend the BAFICI in Buenos Aires, hint, hint. A true cinephile (and geek) would lust for Taschen’s new “The Making of Stanley Kubrick’s ‘2001: A Space Odyssey,'” which lists for $69.99, much more affordable than a limited special edition brought out earlier this year. Shaped like the monolith of the film’s mysterious object of fascination, the book is packed with images of the film at every stage of creation. There are photos of scenes deleted from the final print, and tantalizing glimpses of the alien creatures Kubrick initially wanted his astronauts to meet. An illustrated synopsis of the film fills in any blanks that even multiple viewers might have. The book even has the full instructions for the zero gravity toilet that a worried Dr. Heywood Floyd uses, although they’re spread across two pages and difficult to read — yet wasn’t that always the point? What I’d want my loved ones to pick up for me would be a Criterion Blu-ray version of “2001” that contains the aforementioned deleted scenes, but there’s no Criterion Blu- edition yet. Maybe there will be for Christmas 2018, a half century after the film’s release? It’s an easy choice for me this year, not least because I have just this week been gifted it myself by a family member. Edward Ross’ “Filmish” began life as a comic-book, and it’s recently been collected in a trade paperback. Using the medium of sequential art Ross guides his reader through the history and theories of cinema. Ross’ doesn’t tread lightly either; he goes into some serious territory that ought to satisfy even the stuffiest and most well-worn of cinephiles. Tempting though it is to give cinephiles the same gift I’d have offered last year — a multi-zone player — the 2015 cornucopia of Region 1 DVD releases should keep my friends and me busy all through 2016, starting, of course, with the boxed set of Jacques Rivette’s “Out 1” (Carlotta) and continuing with Shirley Clarke’s “The Connection” (Milestone); Frank Tashlin’s “The Alphabet Murders” and Nicholas Ray’s “Wind Across the Everglades” (Warner Archive); Jean Renoir’s “A Day in the Country,” “Agnès Varda in California,” “Silent Ozu: Three Crime Dramas,” Jean-Pierre Melville’s “Le Silence de la Mer,” and Satyajit Ray’s “Apu Trilogy” (all from Criterion), Spike Lee’s “Da Sweet Blood of Jesus” (Anchor Bay); D. W. Griffith’s “Isn’t Life Wonderful” and Charlie Chaplin’s Essanay Comedies (Flicker Alley); Tim Sutton’s “Memphis,” Alain Resnais’s “Je T’Aime Je T’Aime,” and Jacques Rivette’s “Le Pont du Nord” (Kino Lorber), among many others. For those whose backs are stronger than mine, the sumptuously hefty “Charlie Chaplin Archives” (Taschen), which offers an unprecedentedly detailed view of Chaplin’s fanatical artistry and turbulent life. For portability, Patrick McGilligan’s “Young Orson,” which does the same for Welles’s fabulous and fertile first quarter-century. And for me? Just some chocolate to lure me to the kitchen for breaks while watching the disks in question — because the whole point of home video is the pause button. Other than that um… “Hateful Eight” Roadshow tickets. But really, it’s all about love. My new book, published by a real publisher, “New Mexico Filmmaking,” or the new DVD of “Ride the Pink Horse,” or a pass to the 2016 Arthouse Convergence or the pass to Cannes that I just got an email about. I’d probably pick up something like the Criterion Collection edition of “Mulholland Drive” for someone, a gift subscription to MUBI, “Mad Men Carousel” by Matt Zoller Seitz, “Tangerine” on Blu-ray, this gorgeous “‘Frances Ha” coffee table book. Of course, it all depends on the person. I try to tailor my gifts to the person (e.g., my friend really liked “Crimson Peak,” so I got him Guillermo Del Toro’s “Don’t Be Afraid of the Dark: Blackwood’s Guide to Dangerous Fairies”). There’s a cool set of James Bond Hot Wheels, Boyd McDonald’s “Cruising the Movies: A Sexual Guide to Oldies on TV,” “Why Don’t You Play in Hell?” on Blu-ray, “Hannibal: Season 3” on Blu-ray, or just an Amazon or Barnes and Noble gift card. I’m pretty easy to please. “David Lynch: The Man From Another Place” by Dennis Lim is a critical biography filled with insight and transcending nuggets that will make you appreciate Lynch from another angle. Three extraordinary books in conjunction with 2015 museum exhibitions: “Anton Corbijn: Hollands Deep,” from the exhibition at the Gemeentemuseum Den Haag. The major retrospective included Corbijn’s photographs from over four decades; “4 REAL & TRUE 2 Wim Wenders Landscapes. Photographs,” published on the occasion of the exhibition at the Museum Kunstpalast, Düsseldorf; “China: Through the Looking Glass”, a comprehensive catalogue in conjunction with the exhibit at The Metropolitan Museum of Art, curated by Andrew Bolton with Wong Kar-Wai as artistic director. And for the stylish cinephile looking forward to the upcoming program “Jane and Charlotte Forever” in 2016 at the Film Society of Lincoln Center, check out Charlotte Gainsbourg’s collaboration with Current/Elliott. Her denim jackets are particularly good gift ideas. Less of a plug, and more like a heads up to the other like-minded music fans out there, my last-minute gift idea is a one-two punch of audio awesomeness. First, the acoustic aficionados at La-La Land Records, who time and again release some of the best expanded film scores out there, are offering the 25th anniversary of the holiday home invasion classic “Home Alone.” You can’t go wrong with John Williams, and this release would even make The Wet Bandits happy. Second, I highly recommend Le Matos’ soundtrack to “Turbo Kid.” A cavalcade of sweet syth tracks that would make Vangelis and Air proud, “Turbo Kid” is the best thing to happen to modern electronic film scores since “Tron: Legacy” and “Oblivion.” While the DeathWaltz vinyl release is sold out *sad trombone* it is worth whatever price flippers are selling it for. Scour the Wasteland to get your copy. You won’t regret it. Merry Christmas, ya filthy film score fans!! I’d say it’s probably a safe bet to get something “Star Wars” related. Personally, I’ve been getting myself a bunch of the old books on the various spaceships in the “Star Wars” universe that I loved as a kid. On the flip side, the one thing I’d love that I won’t be buying for myself is the phone controlled BB-8. Love that little droid, but it’s not cheap. Still, so cool. I think my loved ones already know that they can get me anything related to “Star Wars: The Force Awakens” and I’m going to be very happy. As for what I’d give to other cinephiles on my gift-giving list, I’d have to start with the gift of indie coolness. Alex Ross Perry’s “Queen of Earth” hits DVD this week, and it’s one of the most fascinating and engaging films of 2015. Elisabeth Moss gives a brilliant lead performance as a young woman having an emotional breakdown. The fact that she’s not even on the awards season radar is a crime. For fun, I’d probably also include one or two of the amazing Vinyl Idolz figures that Funko has out, which includes a line of “Young Frankenstein” characters. And finally, just because I’m a bit of a wiseguy, I’d probably toss in a copy of the “Jem and the Holograms” soundtrack for friends on my “naughty” list this year. They know who they are.